A).The firm’s client under consideration for this case is a coating producing firm that operates in the manufacturing industry. The client to the firm is A&I Coatings, one of the leading developers and manufacturers of industrial coatings (Coatings, 2018). The goods produced by the firm are highly innovative in nature and of the best quality in the country. The goods and products produced by the country are essentially used for specific needs and by specific industries. The vision of the firm is to exclusively provide highly innovated and scientifically created coatings which are effective and advanced niche coatings. The products are designed in technologically advanced ways and for a wide range of surfaces and needs. The different types of coatings provided b the firm includes fluoropolymers, polyurethanes, membrane coatings and epoxies (Coatings, 2018). The supply of these products depends on the type of need and the industry under consideration. The mission of the firm is to provide excellent IT services and through tenacious methods of innovation and maintenance of product quality. The products and goods of the company are designed in such a way that the firms using these products gain a competitive edge in their respective industries against the rival firms. The firm is known for strongly valuing customer servicing, competency and honesty. The firm is situated in New South Wales Australia. The firm provides various options to the clients ranging from colours to different ranges of services. The products and services from the firm can also be customised as per their own needs. As the firm is concerned with developing new products and providing customised services, the firm needs to regularly invest in a number of different projects and research and development initiatives. The firm will also be exposed to a lot of changes in terms of addition of new variables to the old existing system of costs. Hence, the use of Activity Based Budgeting is very important in this case and it is the most appropriate kind of budgeting that can be used for this firm. B) Activity Based Budgeting is a form of budgeting and planning system increasingly being used by firms. In this kind of planning the costs associated with each kind of activity and operations are used for compiling expenditures depending on the level of activity or operations taking place . Thus, for this kind of budgeting it is very important to take extensive note of the kind of activity taking place and the volumes of each kind of activity related to the business activities (Mahal & Hossain, 2015). This helps in maintaining high levels of refinement in the case of cost planning. This particular type of budgeting will be used extensively by the management of firms in order to reduce the excess activities in the process of revenue generation so that in the end the levels of profit are improved at the end of every financial year (Noreen, Brewer & Garrison, 2014). This also essentially causes the managers and higher authorities of the firms to gain extensive knowledge and expertise into the various processes that help in maintaining appropriate cost levels for the firm. This in turn helps to enhance the cost structure of the business under consideration. Another very important need behind the usage of the firm and the business is the linkage between the costs and the ultimate goals of the parent firm which uses Activity Based Budgeting (ABB). This particular type of budgeting is used by the accountants and the managers of the firm to monitor the amount of costs associated with each step of the production process as well as other processes (Massy, 2016). It helps in keeping a track of each step and each part of the entire business. It helps to identify the different parts of the business that require greater attention as compared to other parts of the business that are less crucial or less important. This in turn helps managers to focus greater attention and funds on the parts which are aligned to the achievement of immediate goals or are more important compared to other parts of the business (Parker, 2016). In the bigger picture, the firm helps to understand towards which part of the businesses do resources need to be channelized and away from which parts of the business. This means that this form of budgeting helps in better allocation of resources and funds on the whole for the business under consideration. This again results in a shift of the total quantity of funds across different parts of the business over the financial year. This type of budgeting is thus very beneficial for the initiation of new processes within the different business units or even in the case of geographical expansion of the business and development of new products and services. However, on the contrary, the Activity Based Budgeting involves a lot of pressure for the managers and the employees using this form of budgeting directly in the business (Olesen, 2015). It consists of a lot of work load which includes tracking of every system of operations and parts of the business unlike the traditional processes which does not require extensive tracking. Fir the parts of the business where there are no efficient systems in place it becomes very difficult to keep a track of all the costs associated. Further, if the business considers the option of setting a system that will track the different costs, then the installation of the system will itself cause the firm to incur high levels of costs (Moreira, 2018). Apart from the costs of setting up of the system, other problems will also be faced by the firm. These will include hiring the right kind of people who will be able to maintain this kind of budgeting and handle the new system installed (Dhubea, Salim & Al-Riami, 2017). Thus, it is feasible for organisations to try this budgeting system on a pilot basis for one of the departments f the whole business and then apply it to other departments so that resources can be allocated and channelized as per priorities. 2. It also helps in efficiently identifying the particular activities and operation management that help in driving costs, that is, helps in identifying the factors that drive costs in the firm. The entire process of Activity Based Budgeting (ABB) is implemented in the best way possible using the activity matrix. In these matrices the activities required are mentioned in the columns and the resources required to carry out these activities are mentioned in the rows. This is the basis of the allocation of the cost drivers and the resources towards the more crucial activities and away from the less important ones. In these matrices essentially cost are divided into two types of costs. One of these are the activity related costs which are variable costs and the other is the sustaining costs which are fixed costs. Thus, the basic features of the Activity Based Budgeting system are summarised. Firstly, the total amount of costs incurred by the firm is essentially didvided into two parts- fixed costs and variable cost. This is extremely important in determining which costs are more important than others are. It helps in building effective cost structures for the firm for the financial year. Secondly, this form of budgeting helps to effectively differentiate between the various cost and behaviour patterns. Thirdly, this process helps to relate costs incurred by the firm to four major variables of operations of any business, which are volume, diversity, time and events. Fourthly, in this kind of budgeting system the drivers of cost determine the pattern of behaviour of the costs. Finally, it helps in investigating, identifying and monitoring the appropriate driver of cost so that the overhead costs of producing a particular product can be traced. C) Traditional method of budgeting involves the usage of the previous year’s budget as the basis for the current year’s budget formulation and monitoring (Réka, ?tefan & Daniel, 2014). In this type of budgeting the framework for the present year’s budget is prepared by making and including changes in the last year’s budget depending on the circumstances facing the firm in the current year. The change in the expenditures of the firm in the present year which are included in the base framework of budgeting in the last year depend upon variables like changes in the inflation rates, situation prevailing in the market and the total change in the demand of the consumers of the firm. Since the basis of the budget is the budget formulated in the previous financial year, the costs incurred by the firm last year and the revenues generated on the whole by the entire firm as well as the revenues generated by each department forms a very important part of the traditional budgeting framework (Dudin et al., 2015). The parts of the traditional budgeting system that need justification include the costs and the revenues which are varying and are extra as determined by the last year’s budgeting framework. This means that all costs ad revenues that exceed the previous year’s costs and revenues need to be justified in the present year’s budget (Henttu-Aho, 2016). This is considered the easiest method of budgeting that is implemented by firms. This process of budgeting also varies largely from a strategic method of planning. It simply makes the assumption that all the costs and investments made by the firm last year are also applicable in the current year without screening and filtering out the ones which are relevant to the current year. Since this form of budgeting does not require any form of cost analysis and identification, it requires lesser effort and time to formulate and generate. The most important advantage of this kind of budgeting is that it promotes a lot of stability and helps in smooth functioning of the organisation. It also provides with the opportunity to consolidate and collaborate various projects of the firm together and helps in easy transmission of resources from underperforming projects to projects that are yielding handsome revenues. However, the framework used for traditional budgeting is very rigid and fixed, it does not provide a flexible platform for carrying out changes in ongoing projects and new projects as well. It is also associated with lots of inefficiencies in the form of risk like deliberately increasing the budgeting costs by the managers or accountants so that there is more money that can be spent by them for various other purposes (Réka, ?tefan & Daniel, 2014). It also does not involve the prioritisation of certain projects which are more important or new as compared to other projects. Further, a lot of inaccuracy is also involved in this type of budgeting. This is so because as this type of budgeting is too dependent on the previous year’s budgeting, if there are flaws in the previous year’s budgeting, it will be carried over to the present year without being altered in the manner it should be (Barr & McClellan, 2018). This excessive reliance on the previous year’s budget will only cause the flaws and mistakes in the last year’s budgets to be carried on to the present year’s budget. This over dependence on the last year’s budget will only cause the mistakes to be carried on every year in the budget formulated and this in turn will be harmful in the lon g run for the business and might even cause it to fall apart (Lorain, García Domonte & Sastre Peláez, 2015). 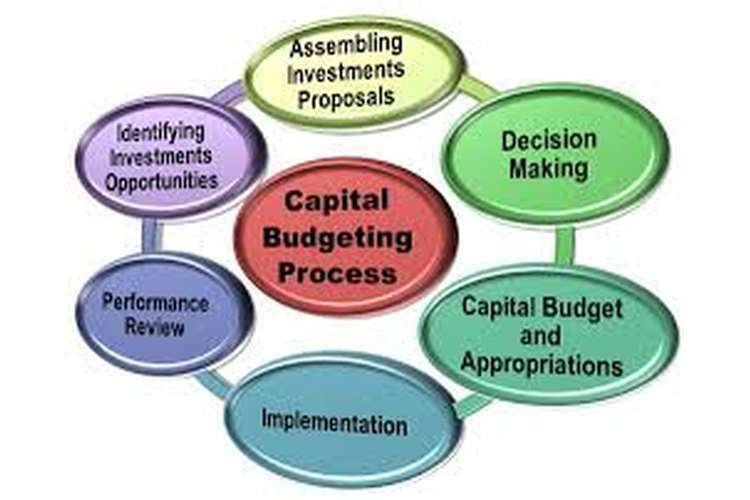 Firstly, the Traditional Budgeting framework is very rigid and fixed and does not take into consideration several factors unlike the Activity Based Budgeting System (Cardo?, 2014). It only considers few major variables like inflation, consumer demand, market share of the business and overlooks the consideration of .many other variables that affects budgeting on a year to year basis. Secondly, the Activity Based Budgeting considers identification of the patterns of costs incurred by the firm depending upon the drivers of cost and hence divides costs into fixed and variable costs. There is no concept of differentiation of costs in the form of sustained and overhead costs in the case of Traditional Budgeting. Thirdly, in case of Activity Based Budgeting, the process helps in identifying the projects which are more important and need to be completed faster as compared to others. This helps managers to allocate resources in an efficient manner. There is no provision for this kind of cost maintenance and resource allocation in case of Traditional Budgeting. Fourthly, in case of Traditional Budgeting, there are chances and opportunities for managers to use this form of budgeting in an unethical way such that they can use it for showing more costs incurred than the actual costs incurred to spend on other purposes. However, in case of Activity Based Budgeting, the mangers are required to be intimated about the various departments and ongoing projects of the business and monitor the costs incurred in each step of the business. It helps in increasing the knowledge of the managers in every step of the various projects and in turn increasing the productivity of the business as a whole. Lastly, the Activity Based Budgeting helps in establishing a direct relationship in between the objectives of the firm for the financial year and the budget, whereas, in case of Traditional Budgeting, this is not possible and there is over reliance on the last year’s budget framework. This causes the flaws in the previous year’s budget to be carried on every year which proves to be detrimental for the firm in the longer run. D) A&I Coatings operates in the manufacturing industry and is committed in providing highly innovated products and services to the customers based on their needs. Hence it is very important for the firm to keep an account of the drivers of costs and the various costs depending upon the activities taking place under each project. Further, the firm will also have to determine the level of importance attached to every activity and project so that there is better and mpre efficient allocation of resources and costs for the different levels of activities. This is a very important reason as to why the firm should employ the use of Activity Based Budgeting System. This type of budgeting will enable the firm to use resources in the right mix and help the managers of A&I Coatings to remain updated about the various needs and progress of the different processes and projects going on in the firm. It will also enable them to set and determine the immediate and the far sighted goals of the firm. This is very important for this particular firm as it will help to better monitor and reduce the overhead costs and find out the variable costs for every project. The managers will also be able to find out the fixed and sustaining costs which render the basis of the entire cost structure of the business. This is very crucial for incorporating changes in the cost structure of the firm. Usage of the Activity Based Budgeting will help in constructing time frames of different projects depending on the changes in the cost structure. A&I Coatings being one of the most well established and successful firms in the manufacturing industry, will not face issues in the context of implementation and installation costs pertaining to the systems that help in maintaining the Activity-Based Budgeting. Further, the use of Traditional Budgeting system will only cause the firm to not have a robust framework of budgeting and will cause the firm’s budgeting to carry the flaws of the previous year’s budgeting in the current year. Even though the use of the Traditional Budgeting system will not require lots of effort, time or implementation costs it will not be as effective as the Activity Based Budgeting as it not consider small variables that change the entire budgeting structure and cost priorities of the firm. Hence, it is only apt to use the ABB system of budgeting for A&I Coatings. It will also greatly increase the chances of the firm to gain a competitive edge in the market as it will be able to earn greater levels of revenue by cutting down and reducing excess costs. With the use of this form of budgeting the firm will also effectively be able to reduce employee redundancy in terms of customer servicing, productivity and increasing the total potential of the various departments. Thus, usage of the Activity Based Capital Budgeting will efficiently reduce the inefficiency of the operations of A&I Coatings as a whole. 1. Barr, M. J., & McClellan, G. S. (2018). Budgets and financial management in higher education. John Wiley & Sons. 2. Cardo?, I. R. (2014). NEW TRENDS IN BUDGETING-A LITERATURE REVIEW. SEA: Practical Application of Science, 2(2). 5. Dhubea, B., Salim, H. M., & Al-Riami, S. A. (2017). THE APPLICATION OF ACTIVITY-BASED COSTING AND ACTIVITY-BASED PLANNING INFLUENCES DECISION MAKING. Asia-Pacific Management Accounting Journal, 12(1). 6. Dudin, M., Kucuri, G., Fedorova, I., Dzusova, S., & Namitulina, A. (2015). The innovative business model canvas in the system of effective budgeting. 7. Henttu-Aho, T. (2016). Enabling characteristics of new budgeting practice and the role of controller. Qualitative Research in Accounting & Management, 13(1), 31-56. 8. Lorain, M. A., García Domonte, A., & Sastre Peláez, F. (2015). Traditional budgeting during financial crisis. 9. Mahal, I., & Hossain, A. (2015). Activity-Based Costing (ABC)–An Effective Tool for Better Management. Research Journal of Finance and Accounting, 6(4), 66-74. 10. Massy, W. F. (2016). Course-Level Activity-Based Costing as an Academic and Financial Tool. TIAA Institute and NACUBO, 4. 11. Moreira, R. (2018). Budgeting process (Doctoral dissertation).